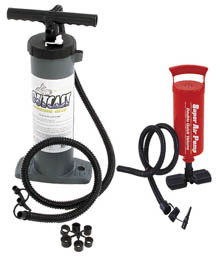 These handy hand pumps will make quick work out of inflating your float tube or pontoon boat. Get the big pump, unless weight or storage is absolutely critical. Then get the little pump.